ON 28 APRIL 2012, Southampton completed their rapid leap to the top tier of English football after slaughtering Coventry at St Mary’s stadium. Whenever there has been a piece regarding this extraordinary journey in the past, many state that the club hit rock bottom when encountering Hartlepool on the archetypal cold and dreary Tuesday night in November 2009. Yet despite the fact that Saints were competing at a lower level, they were already on the up. 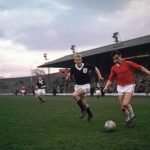 The club was in safe hands, and the debt had been wiped clear – it was the previous campaign that seems to have been somewhat lost in the collective memory of the football family. To comprehend the magnitude of the rise, it’s important to remember the unmistakably drab season of 2008/09 leading up to the moment when the club was so nearly liquidated, when Swiss businessman Markus Liebherr saved the Saints from oblivion, before unfortunately passing away a year later. 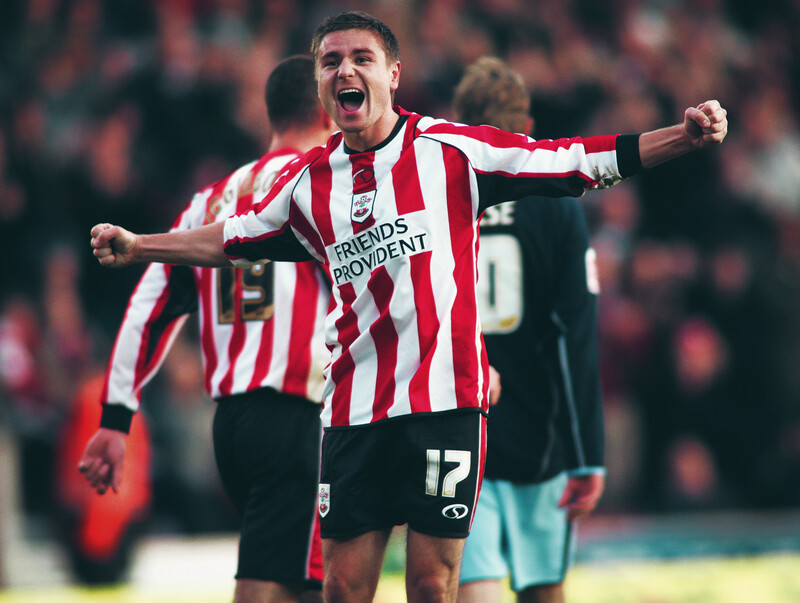 The signs of unrest were clearly visible even in March 2008 as Southampton flirted with relegation. As Nigel Pearson was appointed to steer the team to safety, the new boss was sat in the Itchen Stand to witness his side take on Plymouth. The home side were typically nervous, and when Hungarian midfielder Péter Halmosi dinked the ball past goalkeeper Kelvin Davis, there was the standard groan from the St Mary’s faithful directed towards scapegoat and captain, Jermaine Wright. The stand-in right-back capitulated at this point, lobbing his armband to the ground, before Davis attempted to restore calm by immediately attaching it to his bicep, instead of leaving it unoccupied on the St Mary’s turf. Bizarrely, this act of insolence from a player that was so unpopular was largely ignored in the aftermath of the game – perhaps given the fact that the side had somewhat more grave matters to contend with, as they strove to scurry away from the relegation zone. 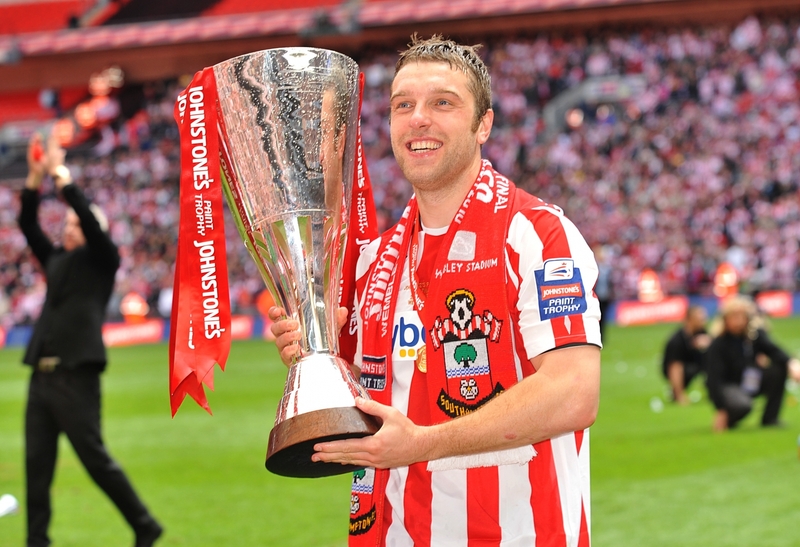 Pearson managed to complete the task of maintaining Southampton’s Championship status, but this was to be a mere stay of execution, both for him and the South Coast club. At this point, the former opposing forces of Michael Wilde and Rupert Lowe re-entered the club in an attempt to cost cut. Lowe had been chairman for a decade, and facilitated Saints’ move to St Mary’s from The Dell, but was much maligned due to his approach in running the club, which was concentrated on business – he was far from being a typical ‘football man’. After relegation from the Premier League in 2005, this was proved when he opted to appoint previous rugby World Cup-winning coach, Sir Clive Woodward as director of football. This was not met with widespread approval by fans: Woodward would clearly provide an expert eye in motivational and sports science terms, but that title is reserved for those who know the game inside out. Lowe gave into the criticism from supporters and left the club in 2006. Property developer Wilde entered the fray at this point, yet he lacked the frugal nature of his predecessor, as did the man who replaced him, Leon Crouch, who struggled to reduce inflated wages for players entering the twilight period of their careers. Therefore, the unlikely alliance of Lowe and Wilde was formed in an attempt to safeguard the club, which was straining under the weight of unpaid debt for the stadium to Norwich Union, and a high wage bill. Wilde shied away from the camera, yet Lowe’s effect was immediate. Pearson’s short-term contract was not renewed, and the chairman elected to bring former Dutch international Jan Poortvliet into the hot seat. The new manager was the affordable option – a man with a track record of working with raw talent, and moulding it with a philosophy founded in his homeland, Total Football. He was supported by fellow countryman Mark Wotte, who would overlook the academy. The chairman had a major hand in developing the youth system as he concentrated on implementing an extensive scouting network that was unrivalled, coupled with state-of-the-art training facilities. This would be the source of much of the playing staff at the club. Lowe did not renew the contracts of many senior performers, while he loaned out other proven players at Championship level such as Grzegorz Rasiak in order to stem the haemorrhage of money that was leaking out of the club. Incoming players were few and far between, and Lowe wished to secure long-term investments as opposed to journeymen who wanted one last big payday in the Solent City. This strategy had largely mixed results when considered retrospectively through two pertinent examples. Starlet Gareth Bale had departed the previous summer, but the Saints hierarchy managed to secure a deal that included significant add-ons and a sell-on fee. Yet in the summer of 2008, Lowe cut this short in order to take a finite sum of £3 million in addition to the immediate £5 million that was initially received, and obtain a young goalkeeper that had come through Spurs’ reserves. Tommy Forecast never made a first-team appearance in the Saints goal, and was in fact ridiculed by Saints fans in the Markus Liebherr Memorial Cup, as they ironically cheered when he managed to make a save. As for the Bale sell-on fee, let’s just say that it would have been substantial. Meanwhile, his marquee signing appeared to be a gamble – an 18-year-old midfielder from Strasbourg for £1 million. Seven years later, multiply that figure by 24 to calculate the figure Saints received from Manchester United for his services. Morgan Schneiderlin was recommended to Lowe by former Southampton academy coach and Frenchman Georges Prost, who was viewed as a pivotal figure to keep the club’s production line rolling. Obviously, at that time, the Strasbourgeois was not the same player that he is now – merely a raw talent, who like the rest of his young teammates, was thrust into a brutal league that takes no prisoners. The opening months of the season were a real struggle as Poortvliet desperately tried to implement Total Football with an extremely young squad; the average age of the group was only slightly heightened by veterans Davis, Chris Perry and Paul Wotton. Michael Svensson had been appointed captain of the team, however the Swede, who had been at the club since 2002, was stifled by continuous injury problems, and could only muster four appearances that season. In his absence, Davis was made captain of the team as he attempted to marshal the inexperienced players in front of him. Wotton was a midfield general who was very savoir-faire as far as the Championship was concerned. He may have lacked the technical ability to carry out Total Football, but he was a role model with his professional approach to the game. In a recent interview, Schneiderlin stated that the Devonian gave him an education in training that helped him in his formative years when adjusting to the harsh nature of the Football League. On the pitch, Poortvliet adopted a 4-3-3 formation, which he would not alter, despite the fact that the players were overawed in many games. The philosophy was that the midfield would interchange comfortably and run off the lone striker, however more than often than not, the frontman would become isolated while those behind him exhibited flashes of skill, but lacked the drive to aid the most offensive player on the pitch. Adam Lallana showed glimpses of his ability, but such was the weight on his shoulders as the most senior of those young players that he found it challenging to impose himself on some games. Game management was another key issue that the Dutchman failed to install in the mindset of his players. One pertinent example of this came in the home fixture against Watford in October. In the first-half, Saints conspired to miss two penalties and concede three goals. The side had displayed some attacking flair but were completely undone in their defensive third, as a lack of composure at set pieces did the damage. As for the two spot-kicks, those charged with the responsibility of taking them adopted two different techniques that were so blatantly telegraphed; the majority of the crowd could call it from their seats before the players began their respective trots to the ball. David McGoldrick and Wotton were both denied by Hornets ‘keeper Richard Lee, with Poortvliet claiming after the game that he was surprised that loanee Jordan Robertson had not taken the second penalty. Southampton lost the match 3-0. As winter set in, the team flittered around the edge of the relegation zone with inconsistency harming their chances of somehow edging towards mid-table safety. A promising performance would suggest signs of improvement one week before the side would completely collapse the next. Meanwhile, St Mary’s was half-full and lacked atmosphere on match day. The Saints hierarchy predicted this and closed the corners of the ground before a ball had even been kicked in earnest that season. Those present were disenchanted with what they saw. Academy graduates such as Olly Lancashire and Matt Paterson were full of passion for the club, but they simply were not up to the overwhelming task that faced the side. Blame was not attached to young players that had been blooded prematurely out of necessity; even when supporters heard the somewhat empty weekly riposte of “they’re still learning”. Instead, anger was vented towards the directors’ box, and this animosity was evident in an eventful AGM which took place shortly before Christmas. While Wilde was conveniently based in New York for the festive period, Lowe, director Andrew Cowen and financial director Dave Jones faced a toxic atmosphere. Several accusations were fired towards the top table regarding the club’s difficulties on and off the pitch, with Lowe claiming that cost cutting would have to continue, as those in the audience laid the blame at his feet for a financially unstable club, with a team who were unable to compete at Championship level. He then had to avoid the silver coins that were lobbed in his direction by one fan, before ending the meeting. In January, more abuse was hurled at the directors’ box during a particularly dour home defeat to Doncaster, yet in ironic fashion, Lowe was actually absent. The following day, he accepted the resignation of Poortvliet, who felt that he could no longer hold the fort. Wotte was promoted to the top job in the dugout as the board were desperately searching for a reprieve as they sought to control finances. The second Dutchman ditched the 4-3-3 in favour of further stability through a formation that allowed the side to concentrate on a somewhat more basic style of play: the classic 4-4-2. This was at its most successful when Wotte selected a narrow diamond. Defensively-minded Simon Gillett anchored the midfield with a tenacious approach, allowing Lallana at the offensive tip of the diamond to support a rejuvenated strike force of Polish forward Marek Saganowski, and Jason Euell. 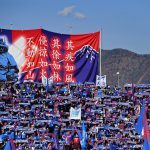 In the spring, a run of three wins gave the team hope of Championship survival, but the financial pressure on the club began to mount. At the beginning of April, Southampton Leisure Holdings plc was placed in administration, and with that Lowe and co departed. Saints hoped that they would avoid a 10 point deduction due to the fact that the football club and the plc were actually separate entities. Those hopes were rapidly erased, though, as the Football League decreed that the two were “inextricably linked”. As such, the club would suffer relegation, however there was a possibility of being handed the penalty in that season, so they could start the following League One campaign on zero points, level with the rest of the division. Those aspirations were cut down after Saints were mathematically relegated after being unable to overcome Burnley in their penultimate fixture of the season. The scenes following that encounter at St Mary’s were ugly. As the final whistle sounded, Wotton lay injured on the floor and needed urgent attention, but fans came spilling onto the pitch to voice their anger, considering that this was potentially the last time that Saints would ever play at home. A meaningless loss to Nottingham Forest followed on the last day of the season at the City Ground, yet it was administrator Mark Fry who faced the pressing task of finding a suitable buyer for the club. The first real interest came from a consortium named Pinnacle, which was led by businessman Tony Lynam. One crucial figure in the group was club legend Matt Le Tissier, which signified that fans sympathised with the consortium. Promises of significant financial backing followed, along with several trips to the training ground to discuss the future with Wotte and the squad, and thus Fry considered them suitable candidates to purchase the club. After entering a period of exclusivity, doubts started to creep in though. The press began to delve into the life of Mickey Fialka, the man who was supposedly going to be bankrolling the purchase. A former non-league player, Fialka lived in a humble abode with his parents in Barnet, while the turnover he made through his companies totted up to tens of thousands of pounds rather than tens of millions. As a result, fans began to question the viability of a deal being struck. As time went on, Fry cut a frustrated figure, and it was announced that Pinnacle’s attempt to buy the club had collapsed. Panic set in amongst supporters. The sale of youth products such as Andrew Surman and McGoldrick was necessary to generate quick cash, while even captain Davis was training with West Ham with a view to moving on. Yet, it was at this point that whispers started to circulate about a Swiss group headed by Liebherr, who were interested in finding a deal with Norwich Union to cover the stadium debt, along with other creditors. On 8 July 2009, Liebherr sealed the transaction for around £13 million and would be assisted by new chairman Nicola Cortese – a hardnosed banker who would attend to day-to-day matters. Immediately, they hung onto captain Davis – a sign of the continuity from the club’s bleakest moments to this bright new dawn. Southampton had been stripped bare by debt, but the new owners earmarked a successful academy, a solid fan base and a unique location as tools for upward mobility. A rebuild would be imperative, but the raw fabric of Southampton acted as a gateway to success.